Christmas brings many gifts. Of course there are those that come wrapped in ribbons but it’s usually the gifts without a box that mean the most. Such is the case with family traditions. Over the years our tribe has established a few Christmas traditions as well. One tradition combines several of our favorite things: food, books, and time in the kitchen together! We would frost sugar cookies (see previous post for Cut Out Sugar Cookies), make hot chocolate and then indulge in cocoa and a cookies while reading Margie Palanti’s Mooseltoe. I won’t spoil the story in case you haven’t read the book but Moose did in fact experience one MAJOR oversight. The story is a terrific example of how love and sacrifice manifest themselves. Even if it’s in the life of a Moose! These days our Darlings are a little too big for Moosletoe but we share the book as a gift as often as possible. 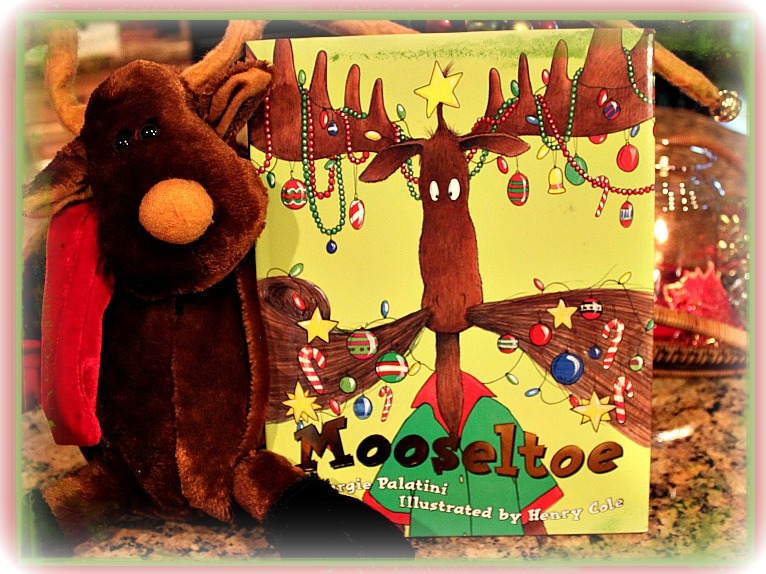 And who knows…maybe someday Mooseltoe will manifest itself as Christmas tradition in our family through a generation that follows. In the meantime…don’t be surprised to find this DoAhead tucked away in a corner, discreetly sipping hot chocolate as she flips through the shiny pages of a book that means so much more than ink and paper. Memories of three smiling faces, giggles and chocolate mustaches will rise with every turn of a page. Perfectly perfect.